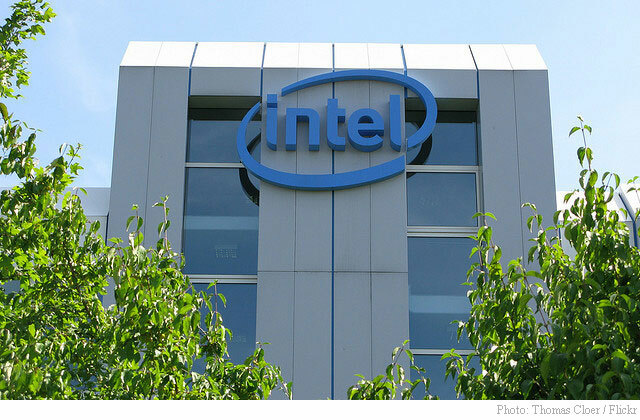 Are the glory days of Intel's chip empire coming to an end? Bloomberg reports that Apple (NASDAQ:AAPL) is planning to ditch Intel (NASDAQ:INTC) processors in favor of adopting its own homegrown, presumably 64-bit ARM-based processors that now dominate smart phones and tablets, across its product range. The move is seen as a way for Apple to better integrate software across Macs, iPhones, and iPads. The company could make the shift to its own custom-built chips as early as 2020, the report said. Needless to say, the switch would be a blow to Intel. In fact, according to Bloomberg supply chain analysis, Apple provides the world’s biggest chip maker with about 5% of its annual revenue. That’s a significant revenue stream considering Apple’s trailing-12 currently prints at nearly $240 billion. Perhaps more importantly is that Intel, particularly in the face of Moore’s law which as the golden rule for the electronics industry has been the feedstock of massive innovation in computing but that now looks to be slowing to a halt, has failed to effectively innovate in terms of improving the design of chips and making them specialized to accelerate particular crucial algorithms, a feat that competitors such as Arm have achieved. For Cupertino, Calif.-based Apple, the switch would be a defining moment as it would allow the $854 billion market cap company to finely control yet more of its ecosystem and avoid reliance on other companies. Additionally, by using its own main chips, Apple will become the only major PC maker to use its own processors. For Intel the news is not only a severe reputational dent but also a warning sign that it can not ignore. ARM-architecture-based processors now dominate smart phones and tablets. iPads and iPhones use ARM exclusively, as do Windows Phone devices. With a slowing down of innovation in the x86 CPU arena, a slowing in the fab upgrade cycle, and with a non-existent presence in the mobile market, any further losses to Intel’s computer market share could be seriously problematic for the company and its stock. Intel shares plunged more than 9%, the biggest intraday nosedive in more than two years, on the news. Shares gained $0.66, or 1.70%, Tuesday to close at $49.75. The name is 33% lower than it was 18 years ago.